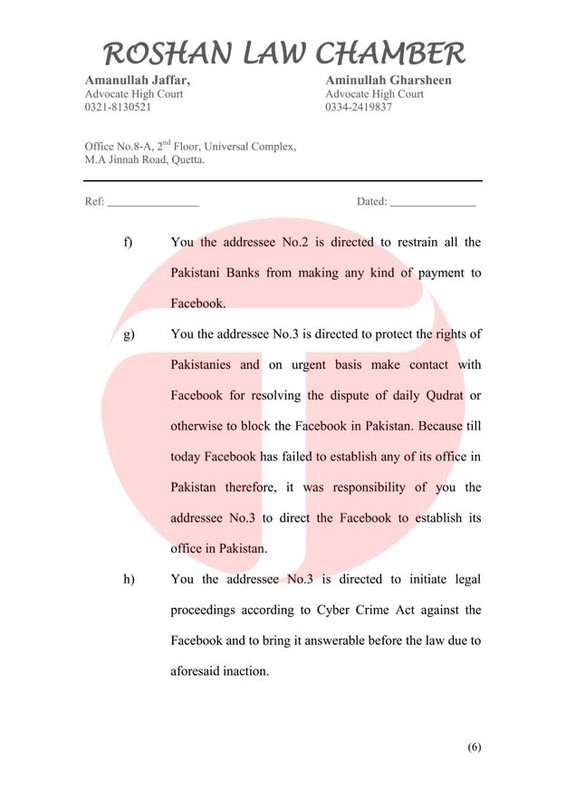 Daily Qudrat, a well known Urdu language newspaper in Pakistan, sent on Wednesday a legal notice to Facebook and requested the Pakistan Telecommunication Authority (PTA), the Federal Investigation Agency (FIA) and the finance ministry to block the social media giant in the country. The newspaper demanded legal action against the Facebook administration after its official page and some ‘pro-Pakistani’ users were blocked to use the platform. 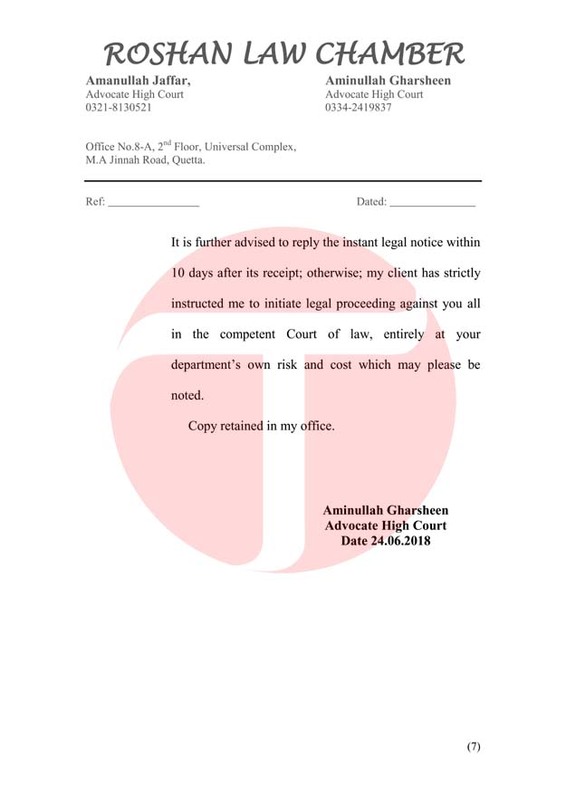 The notice demanded an apology within 10 days and to reopen all the blocked accounts and pages. 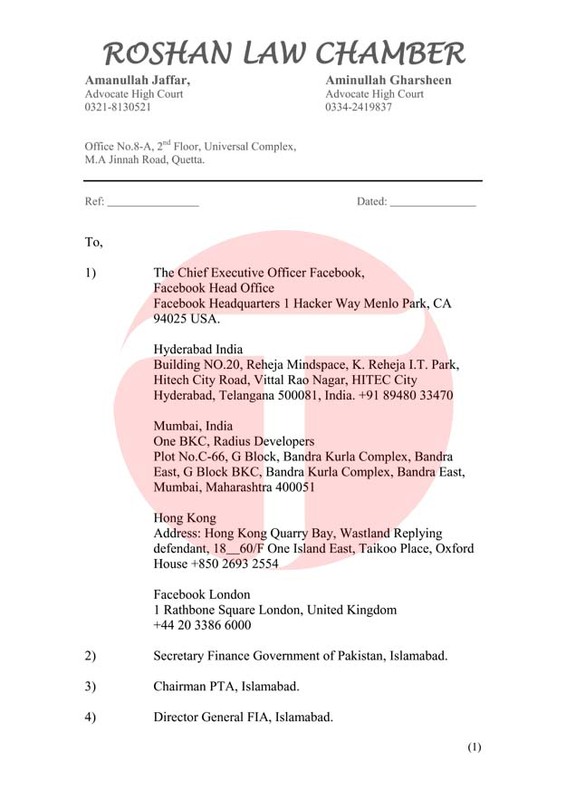 It also demanded Facebook officials to open their offices in Pakistan, arguing that neighbouring India had six Facebook offices, which it claimed were working against Pakistan. The newspaper pleaded the finance ministry and the FIA to restrict all financial transactions benefiting the social media site ‘until they agree to open their official offices in Pakistan’. According to the notice, the official Facebook page of Daily Qudrat was blocked on June 12, 2018 following accusations by an Indian company regarding its content. “Facebook however, took sides with the Indian company and blocked the page without giving any explanation,” the notice further added. The newspaper demanded $50 million in penalty in case Facebook failed to restore its page and other blocked Pakistani accounts in next 10 days.